The absence of a reliable British aeroengine in the 200hp class before the First World War, and the unreliability of the two-row 160hp Gnome, prompted the Admiralty to purchase examples of the water-cooled Canton-Unne radial engines being built under a Swiss licence at the French Salmson factory at Billancourt. Two versions, a nine-cylinder single-row radial of 135hp and a fourteen-cylinder two-row radial of 200hp, were considered, with the object of obtaining a licence for production by the Dudbridge Ironworks at Stroud, Gloucestershire. 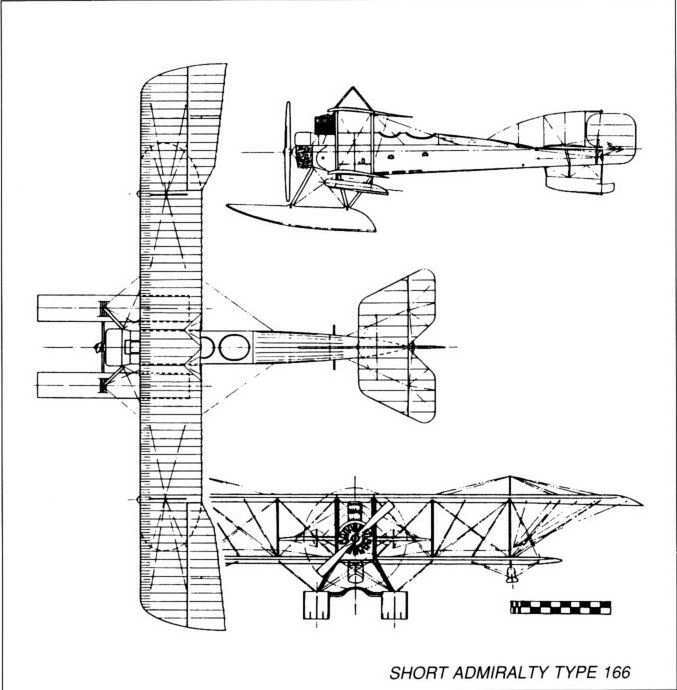 Accordingly, two Short seaplanes, Nos 135 and 136, were ordered by the Admiralty in 1913, these being powered by the 135hp and 200hp engines respectively; although almost identical, the latter aircraft was slightly the larger. Known as Short Admiralty Type 135s, the two prototypes were built at Eastchurch during the spring of 1914, No 135 being delivered to Grain in July; No 136 followed in September. They were two-bay biplanes with strut-braced, extended upper wings incorporating single-acting, inversely-tapered ailerons. Both aircraft were generally liked by their pilots and, adapted to carry two 112 lb bombs each, took part in the Cuxhaven raid on Christmas Day, 1914. No 135 suffered engine failure on its return flight, and was abandoned after ditching; the pilot, Flt-Lt Francis Esme Theodore Hewlett RN (later Gp Capt, DSO, OBE, RAF), flying solo, was rescued. No 136 returned safely, flown by Flt-Cdr C F Kilner with Lieut Erskine Childers as observer, having also carried out a reconnaissance of the German Fleet in the Schillig Roads. No 136 was shipped to the Dardanelles aboard the new seaplane carrier, HMS Ark Royal, in February 1915 but, after being damaged by enemy gunfire, suffered collapse o f its undercarriage on return from a sortie two months later; immersion in the salt water prevented the engine from running reliably thereafter. Type: Single-engine, two-seat, two-bay biplane, twin-float patrol bomber seaplane. Powerplant: No 135. One 135hp Salmson nine-cylinder single-row water-cooled radial engine. No 136. One 200hp Salmson fourteen-cylinder two-row water-cooled radial engine. Dimensions: Span, 52ft 0in (No 136, 54ft 6in); length, 39ft 0in (No 136, 40ft 0in); height, 12ft 6in; wing area, 530 sq ft (No 136, 570 sq ft). Weights: No 135. Tare, 2,700 lb; all-up, 3,400 lb. No 136. Tare, 3,000 lb; all-up, 3,700 lb. Performance: No 135. Max speed, 65 mph at sea level. No 136. Max speed, 72 mph at sea level. Armament: No gun armament. Normal bomb load either two 112 lb or four 65 lb bombs carried on underwing racks. Prototypes: Two, RNAS Nos 135 and 136. No 135 first flown in July 1914, 136 probably in September 1914. Both seaplanes took part in the abortive attacks on Cuxhaven on 25 December; No 135 ditched and was lost, but No 136 accompanied HM Seaplane Carrier Ark Royal to the Dardanelles in February 1915. No production. The first purpose-designed torpedo-carrier produced by Shorts was the Admiralty Type 166, which retained the 200hp Salmson engine of the Type 135 and embodied the arched cross-struts between the floats incorporated in the modified Folders to mount the torpedo. The first six production aircraft, Nos 161-166, were just beginning construction at Eastchurch when war broke out on 4 August 1914, just over a week since No 121 had first dropped a torpedo - such was the Admiralty's determination to press ahead with this air-dropped weapon without further delay. 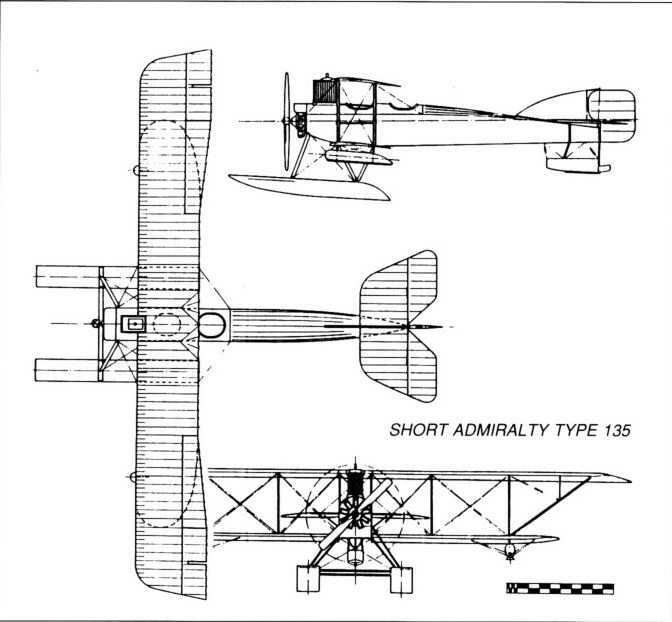 The Type 166 featured Shorts' customary wire-braced wooden box structure in the fuselage and single-acting ailerons were fitted but, unlike the Type 135s, the outer wing extensions were wire-braced by kingposts located immediately above the outboard interplane struts; the two-bay wings were made to fold using the Short patented system, but it had been found that the sloping struts supporting the wing extensions possessed little clearance with the tailplane in the folded position, with a risk of damage; hence the decision to revert to extensive wire bracing with kingposts instead. The Type 166 also introduced a much-enlarged fixed fin, and retained the ungainly vertical radiator block on top of the nose, a feature of most Salmson-powered aircraft and one which would have interfered with the pilot's line of sight during a torpedo attack. The six Short-built Type 166s were the only examples to give service with the RNAS during 1915 and, as far as is known, were never flown in service with torpedoes. Instead they remained at home naval air stations until, in November that year, five of them were shipped in HMS Ark Royal to the Eastern Mediterranean. They were used to good effect, bombing enemy gun batteries at Salonika and spotting for the monitors HMS Raglan and Roberts. Two of them, Nos 163 and 166, were later converted to landplanes for operations from RNAS Thasos. By 1916 Short Bros were heavily engaged in production o f later aircraft so that, when the need arose for further Type 166s, an order for twenty aircraft (Nos 9751-9770) was placed with Westland Aircraft Works at Yeovil. On completion of the seaplanes they were moved by train to Hamble where they were test flown by Sidney Pickles on behalf of Shorts. Being no longer required to carry torpedoes, these 166s reverted to the straight cross-struts between the floats and, equipped with wireless and armed with a Lewis gun on the rear cockpit, were fitted with racks to carry up to three 112 lb bombs. At least one o f them. No 9754, was flown as a landplane at Thasos, while another, No 9758, is known to have still been on charge with 'A' Squadron, RNAS, at Thasos in February 1917. Type: Single-engine, two-seat, two-bay biplane, twin-float torpedo-bomber reconnaissance seaplane. Manufacturers: Short Bros, Eastchurch, Kent; Westland Aircraft Works, Yeovil. Powerplant: One 200hp Salmson fourteen-cylinder water-cooled two-row radial engine. Dimensions: Span, 57ft 3in; length, 40ft 7in; height, 14ft 0 3/4in; wing area, 573 sq ft. Weights: Tare, 3,500 lb; all-up, 4,580 lb. Performance (with two 112 lb bombs): Max speed, 62 mph at sea level; service ceiling, 8,200ft; endurance, 1 3/4 hr; max endurance without external load, 4 hr. Armament: Provision to mount one Lewis gun in rear cockpit. Bomb load of up to three 112 lb bombs or one 810 lb 14in Admiralty torpedo (the latter not employed operationally). Prototype and Production: A total of 26 Type 166s was built, Nos 161-166 by Short Bros in 1914-15, and Nos 9751-9770 by Westland during 1916. Summary of Service: Type 166s served in the bombing role with HM Seaplane Carrier Ark Royal at Salonika at the end of 1915 and with 'A' Squadron, RNAS, at Thasos in 1916; they also served at RNAS, Calshot. The Type 135 was a development of the Short Folder, and it also had folding wings. Only two were built: No.135, with a 135 hp Salmson. and No.136 (illustrated), with a 200 hp Salmson engine. The Short 135 seaplanes were both used in the celebrated RNAS raid on Cuxhaven on Christmas Day, 1914, and No.136 later served in the Dardanelles with the seaplane-carrier Ark Royal. Maximum speed, 65 mph. Span, 54 ft 6 in. Length, 39 ft. Originally the Short Type C, the Type 166 was designed to carry an 810 lb 14 in torpedo, though there is no record of this weapon havlllg been used operationally by the aircraft in service. 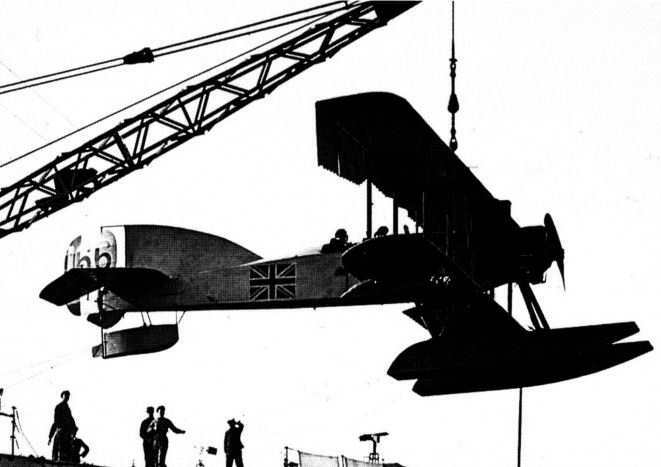 The parent firm built six (Nos.161 to 166) and the Westland Aircraft Works 20 (Nos.9751 to 9770); the photograph shows the first of the Westland-built Type 166 seaplanes on the Hamble River in 1916. The Type 166 was used by the RNAS at Calshot and Thasos and in the seaplane-carrier Ark Royal. One 200 hp Salmson engine. Loaded weight, 4.580 lb. Maximum speed, 65 mph. Span, 57 ft 3 in. Length, 40 ft 7 in. Ten seaplanes of this type were built, Nos.9781 to 9790, and No.9790 is illustrated. They served with the RNAS seaplane station at Calshot from 1916. The engine was a 140 hp Salmson radial. The seaplanes Types 166, 827 and 830 and that which had had the 140-hp Salmson engine all carried bombs under the fuselage. The first Westland-built 166s had arched cross-bracing struts between the floats to enable them to carry a 14-in torpedo, but all later examples had a standardized installation of three 112-lb bombs. These same aircraft could have a Lewis gun in the rear cockpit, provided with six 47-round drums. S87 and S88 were ordered in February 1914 with water-cooled Salmson engines, of two different types. The first to be delivered had the more powerful engine, which was cooled by a large block radiator mounted on top of the fuselage, ahead of the wings. A small cowl was fitted over the top of the engine. The wing extensions were braced by struts, and single acting ailerons with tapered inboard sections were used. An elongated fin and a tail float with small water rudder and the usual type of airbags were fitted. Power: 200hp Salmson (Canton-Unne) fourteen-cylinder two-row water-cooled radial. S 88 was delivered on 9 September 1914 and allocated for shipboard use on HMS Riviera, and was used in the Cuxhaven raid of 24/25 December 1914, from which it did not return. In appearance it resembled S87, but was smaller, lighter and with a lower performance. Power: 135hp Salmson (Canton-Unne) nine-cylinder single-row water-cooled radial. This batch of aircraft derived from S87 (No. 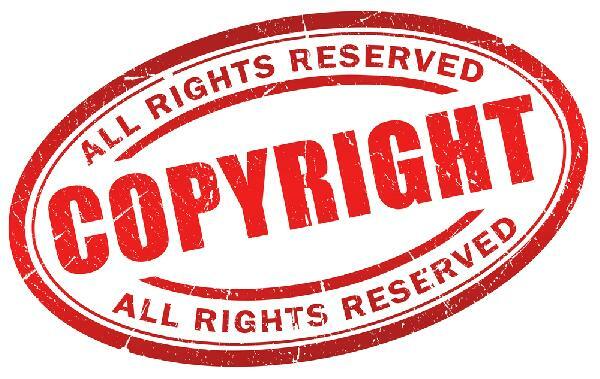 136), but incorporated a number of changes. 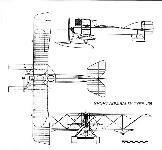 The two bay folding wings of unequal span had kingpost and wire bracing of the top wing extensions. The ailerons were shorter and in one piece, but still with a tapered chord. A larger elongated fin and balanced rudder were fitted. The spacing tubes between the floats were arched to provide for the carriage of a torpedo. The aircraft were ordered in January 1914 and were built at the new Rochester works but were not delivered until March to August 1915. A further batch of twenty Type 166 aircraft was built by Westlands in 1916, without the arched cross struts, as carrying a torpedo had proved to be impractical. Designed at the end of 1913, the folder seaplane Admiralty Type 135 was a two-seater with two-bay wings fitted with strut-braced upper extensions. The upper planes carried single-acting ailerons, which were made in two parts and had inverse taper. A rounded top decking ran the whole length of the fuselage, and the 135 h.p. Salmson engine was cooled by a large rectangular radiator mounted in front of the cockpits. No. 135 entered service just before the outbreak of the 1914-18 War and was followed in September, 1914, by a second example, which was powered by the 200 h.p. Salmson. It was numbered 136 (illustrated) and was based on the Isle of Grain. Span, 54 ft. 6 ins. Length, 39 ft. Height, 12 ft. 6 ins. Weight loaded, 3,700 lb. Maximum speed, 65 m.p.h. Endurance, 4 hrs. A further development of the folder seaplane, intended specifically for torpedo-dropping, was an enlarged version of Admiralty No. 136, from which it differed chiefly in having pylon-braced upper wings of increased span and a still larger fin. The first to be built, early in 1914, bore the Short works number S.90 and received the Admiralty serial number 161. Unlike its successors, its 200 h.p. Salmson engine was uncowled. There were six aircraft in the initial batch, and the Admiralty chose to identify the type by the number of the last of these - 166 - which subsequently served at Salonika on board H.M.S. Ark Royal. Span, 57 ft. 3 ins. Length, 40 ft. 7 ins. Height, 14 ft. 1 in. Weight loaded, 4,580 lb. Maximum speed, 65 m.p.h. Short S.87 (RNAS No.136) was one of two machines built in 1914 with Sunbeam engines. Short S.88 (RNAS No.135), fitted with a lower powered engine, was smaller but generally similar. Short S.94 (RNAS No.165) one of a batch built in 1914-1915 known as Admiralty Type 166. The Salmson-engined Short Admiralty Type 166 seaplane about to get off реу water in Salonica harbour. 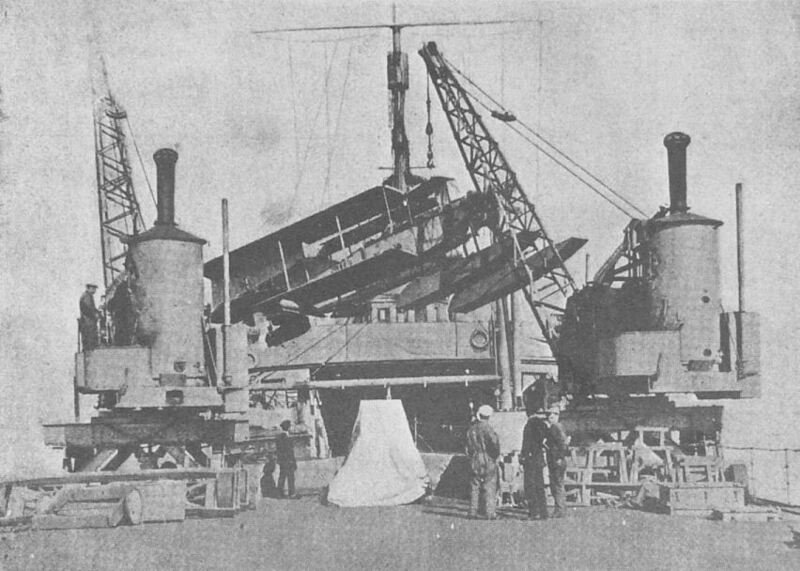 Short Type 166 seen being lifted out from her shed with wings folded on HMS Ark Royal. The engine is a Salmson (Canton-Unne) of 130 h.p. The main floats, wing-tip floats and steerable tail floats may be noted. WITH THE BRITISH FORCES IN SALONICA. 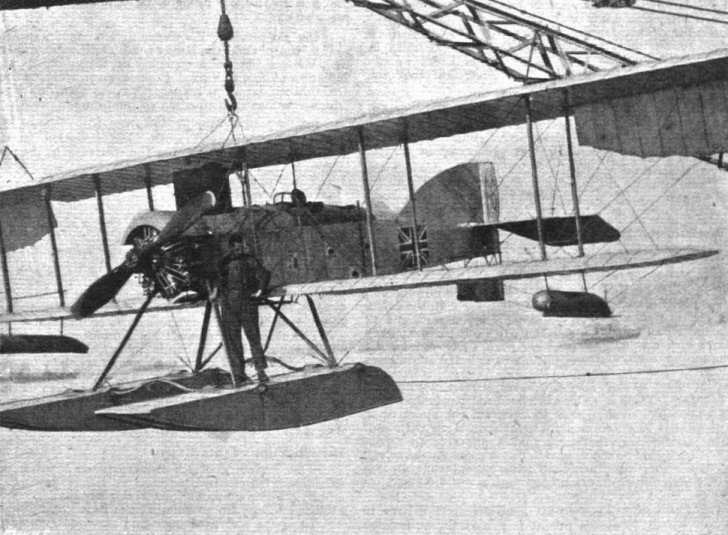 - Lowering a Short Type 166 folding wing seaplane in Salonica Bay from H.M.S. "Ark Royal", a seaplane carrier which has done much work in the Mediterranean. The first Westland-built Short 166 floatplane, 9751, in the Yeovil factory, with the Salmson radial engine of another aircraft visible at the left of the photograph. The photograph shows the first of the Westland-built Type 166 seaplanes on the Hamble River in 1916. SHORT (140 hp SALMSON) SEAPLANE. Ten seaplanes of this type were built, Nos.9781 to 9790, and No.9790 is illustrated. The fuselage of a Short 166 being loaded into a railway wagon in the siding of Westland's despatch department in 1916. A horse-drawn cart takes Short 166 wings and centre-sections from the factory to Yeovil's Great Western Railway junction.